The day starts out like a normal day- hunting and gathering with Gale, trading their goods on the black market, and taking the rest home for dinner. But today is special- it’s the day of the Hunger Games. The place formerly known at the United States is now Panem, divided into the capitol and 12 districts. 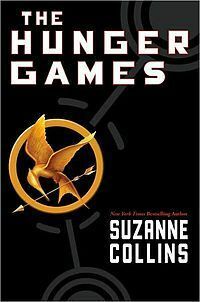 Each year one boy and one girl from each district must fight to the death in the Hunger Games. At the ceremony, when the names from their district are called, Katniss is horrified to hear her sister’s name called. Katniss does the only thing she can do- volunteer to take her sister’s place. She is willing to do whatever it takes to protect her family- even if it means the end of her own life. Wow, what a suspenseful read! I can see why so many people liked it. Other than Katniss’ constant thoughts about her own selflessness that annoyed me after awhile, it was an interesting, fast-paced story with likable characters. It makes the reader think about life, death, the hierarchy of society, and how far you would go to protect a loved one. Highly recommended for teens or adults. Reminiscent of Post Secret, this book contains handwritten and hand-drawn contributions from participants in the project. Each page has a separate “wish” from someone. 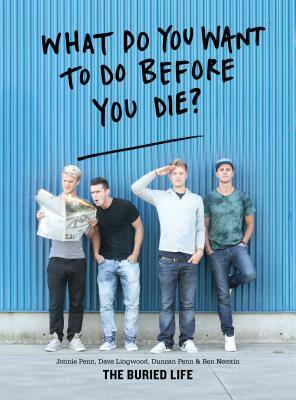 The story of the four young men of The Buried Life and their project is interspersed throughout the book. I was really excited about this book, thinking it would be similar to Post Secret. The project itself seemed interesting, although I didn’t really understand where all of the “wishes” in the book came from. The Buried Life guys seemed inspired by their project, and it seems like they were trying to help others. The book itself just fell flat for me. The book begins in 1920 when Frankie Pratt is graduating from high school. After her dad died, Frankie didn’t think she’d be able to go to college. She was able to get a scholarship to Vassar where she rubbed elbows with the rich girls who were in school only to find a husband. Frankie didn’t want what the others wanted; she wanted to be a writer. After finishing school, she moved to New York City where working for a magazine is not as glamorous as she had expected. A failed romance and a brief stint overseas change Frankie’s mind about what she wants in life. The format was fun; everything was scrapbook-style photos, drawings, and mementos interspersed with short bits of text. I liked Frankie’s spirit and the story line was interesting. I would recommend this to those who like historical fiction or a short, easy read. Quentin remembers his first real adventure with his neighbor (and crush) Margo Roth Spiegelman. They were nine, riding their bikes around the neighborhood park, when they found a dead man. Quentin wanted to go home and tell his parents. Margo went back, looking for clues and interrogating the neighbors. Flash forward to the present. Quentin and Margo, no longer real friends, are high school seniors with just a few weeks left of school. Both are set to go to college. One night, when Quentin is about to go to sleep, Margo shows up at his bedroom window dressed like a ninja. After a wild night of revenge, Margo disappears. And Quentin might be the only one who can find the clues she left behind and find her before it’s too late. John Green is a great writer. His characters are witty and intelligent with an adventurous streak. And of course, Paper Towns includes a road trip. I would recommend this book to upper high school students and adults. It’s a great read.